Valerie and Stephanie are sisters and my closest cousins; I consider Valerie to be my best friend. This photo was taken as I was walking up to Troy for our first look. 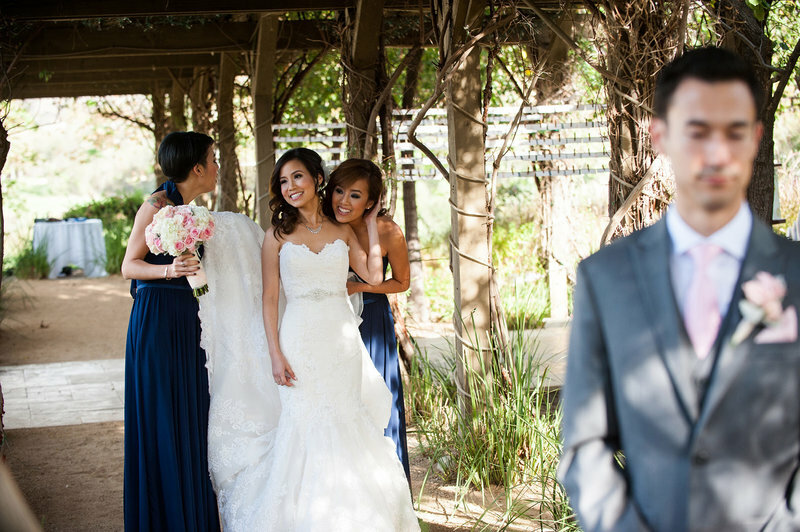 It captures a real, sweet, and tender moment of shared joy between between us girls. Troy and I strongly believe in having our individual and common social support, so I'm happy that Narrative Images caught a shot of one of my strongest rocks. 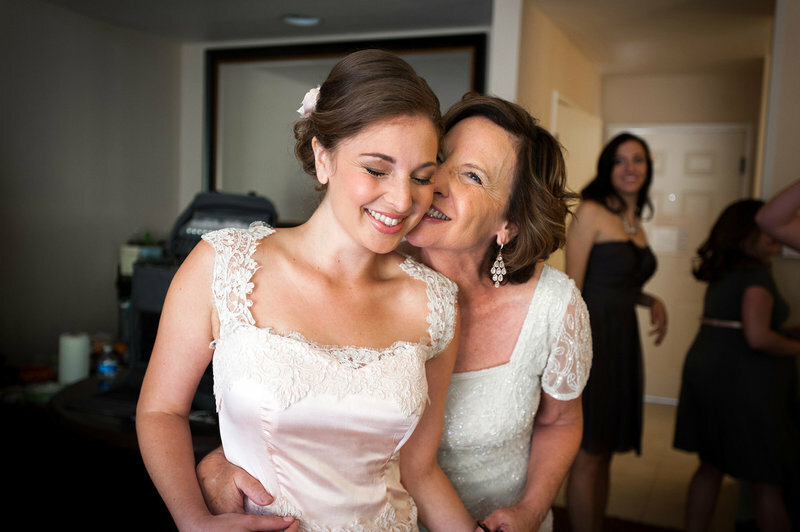 After months of working together to make my wedding dress, my mom and I gained a lot of trust, understanding and love for each other (after navigating a few disagreements). You took a few photos of just the two of us right after she helped me put the final masterpiece on. She took one deep breath and we both teared up. 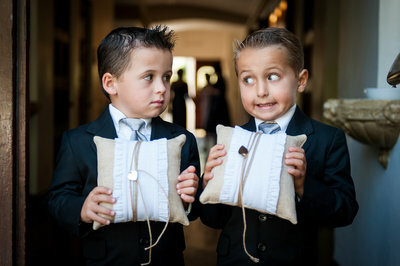 Thank you for capturing such priceless portraits to save that fleeting moment. Since I was a little girl, I would always hear my dad singing. His voice would put me to sleep and I felt very comforted. 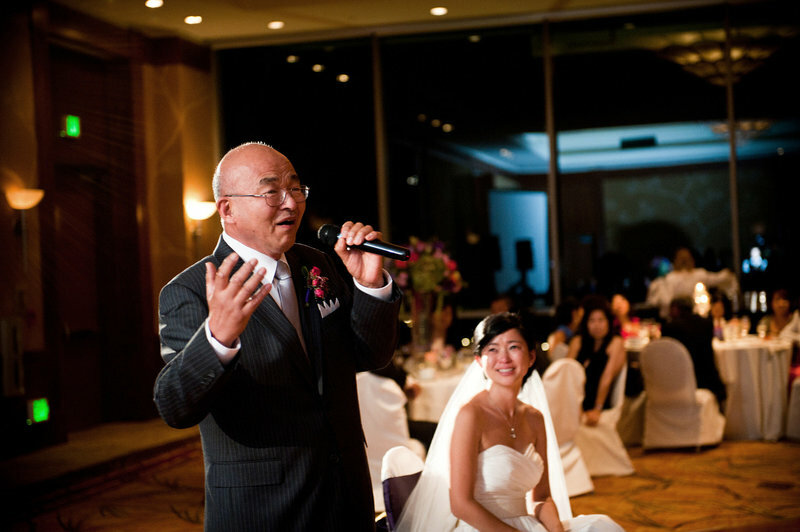 The memory of him singing his heart out to our guests is something that remains in my heart. Even after he has passed away, I will look at this moment in time that you captured and remember my dad's love for singing, his comforting melodies when I was young, and how happy he was to share this moment with others. 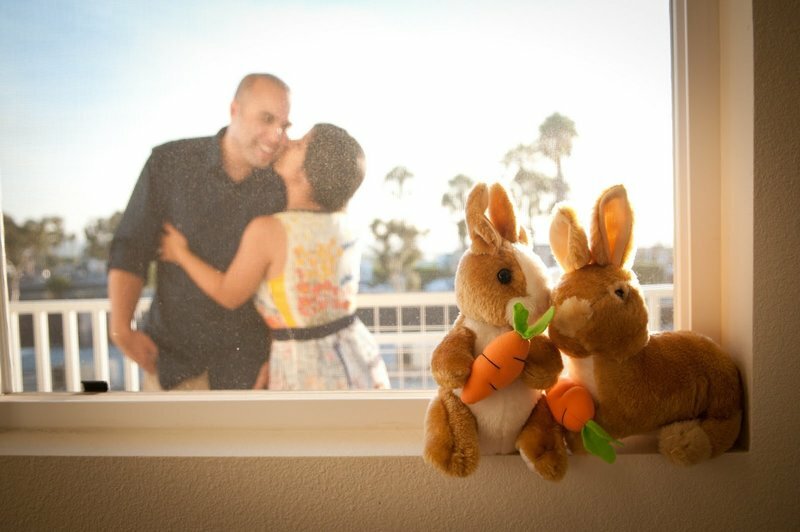 The bunny rabbits are the very FIRST gifts Chris gave me. We were newly dating, it's near Easter, and he comes out with this overly gigantic Easter basket. This picture takes me back to that moment. Obviously, Chris was special and he still to this day does these random surprises. The expression on Nathan's face is just priceless and makes me laugh to this day. 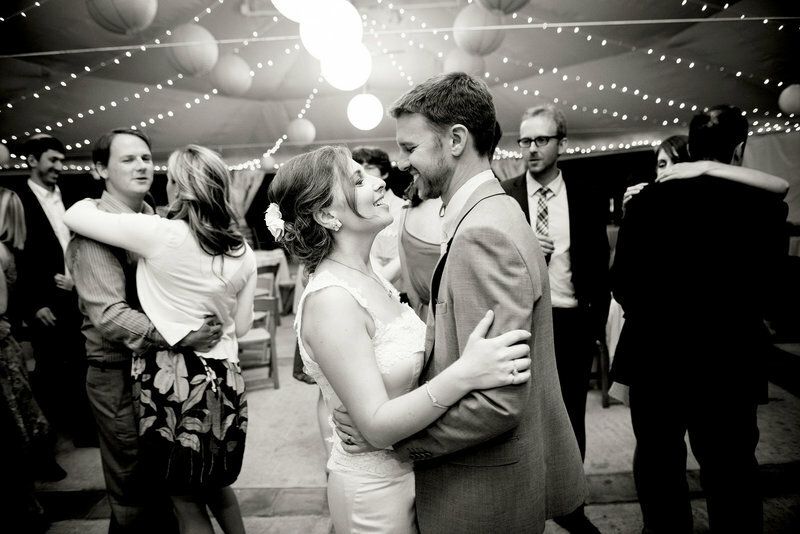 It perfectly captures how ecstatic we were to finally be married after dating and living in different parts of the country for almost a decade. 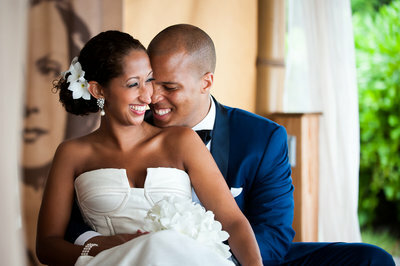 It is easy to look at this picture and remember why our wedding day was the best day of my life! You caught us in the last song of the night, tousled and really over the moon. We were impressed you stuck it out until the end and snapped one last shot. If we had to caption this photo we would title it “We did it!” This is probably our most favorite wedding photo and it hangs above our bed. Both my husband and I are awkward in front of a camera so the candid nature of this photo capturing those first few incredible and indescribable seconds as husband and wife is truly a photo we will cherish forever. I love the eye contact that you captured between my mom and me. Gaining my mom's approval to be with and marry Troy (a non-Vietnamese person) was not without challenges, so it meant a lot to me to have a traditional Vietnamese ceremony where my mom and I could both be in our traditional clothes. 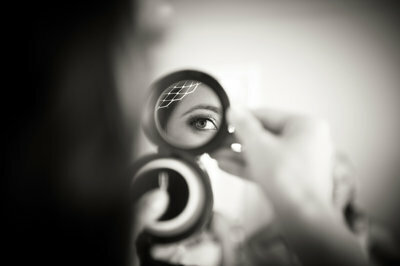 Her look is one of approval, and mine is one of happiness to have made it to this day with her support. 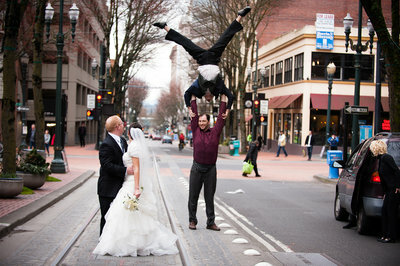 Troy and I had already walked out of the ceremony so we didn't see this until we received our pictures. 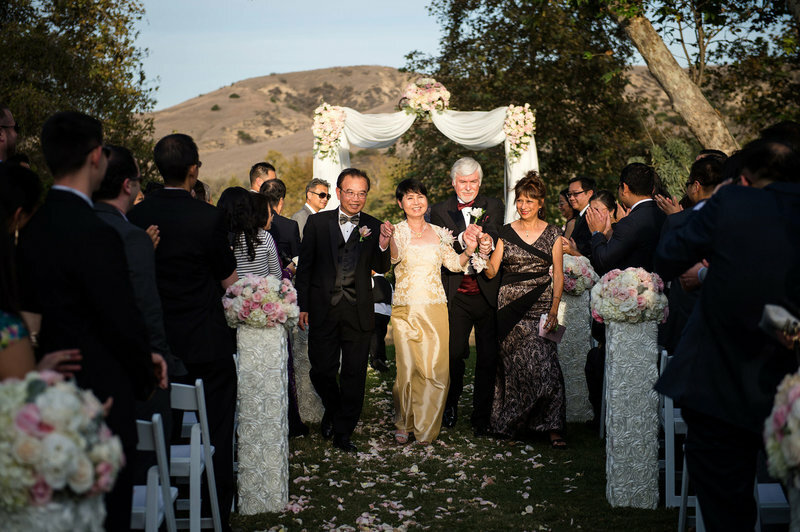 We were very surprised by my parents' sincere smiles and that my and Troy's parents were holding hands! This is a priceless photo of the joy in coming together and joining two families. 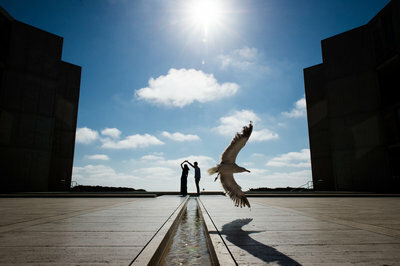 We were thrilled that this picture was captured - otherwise we would have totally missed this! 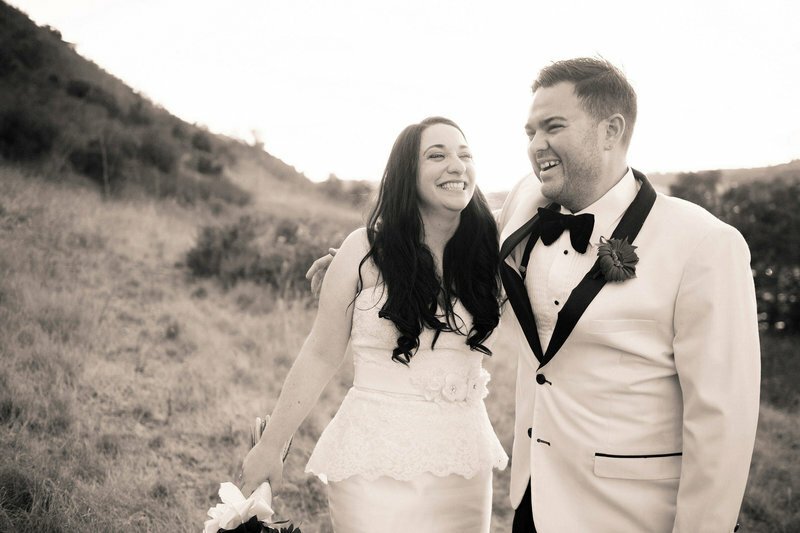 ​For our wedding, we wanted to make sure that we expressed and conveyed a sense of deep respect and appreciation for those who raised us and helped Troy and I get to where we are as individuals and as a couple. 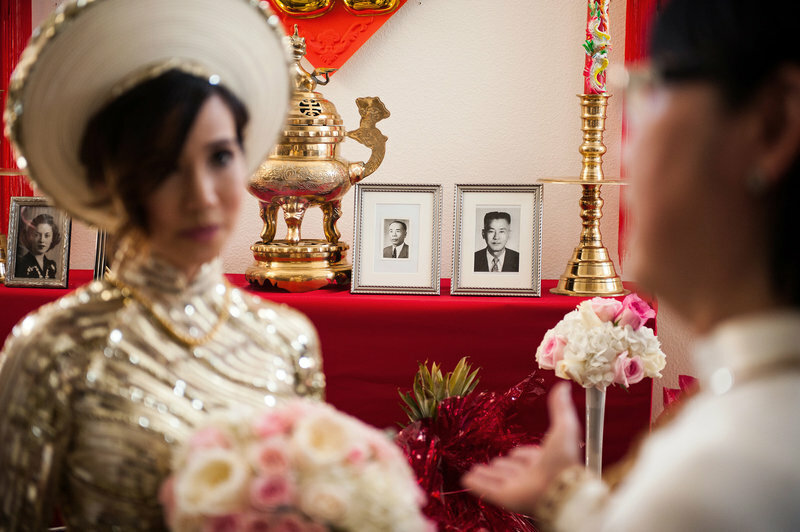 I like this picture because you subtly incorporated pictures of our grandparents, that meant a lot to us and the theme of the day - the joining of two families and two histories into one marriage. 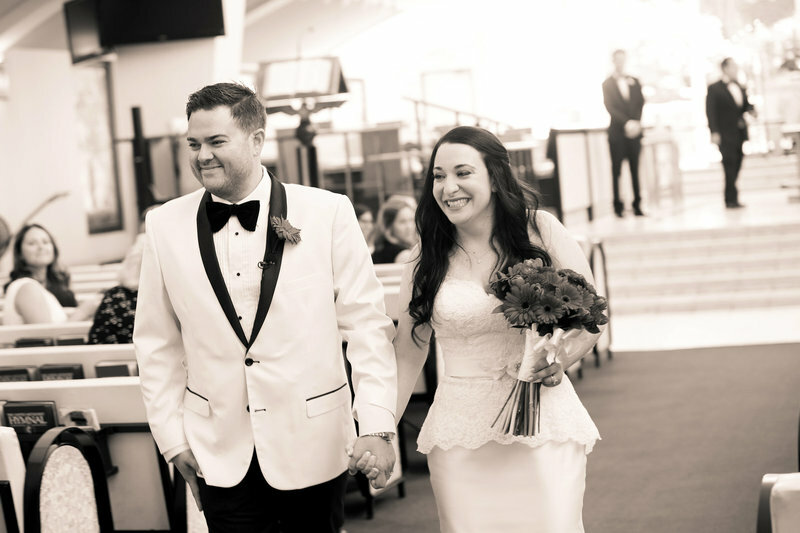 This photo was snapped in the middle of what my husband and I refer to as the “insta-friend.” The pure joy, fun, and relief of our wedding day is so evident through our sincere smiles. We love this photo because it captures the true essence of our relationship. We truly have the most fun together we could ever ask for everyday and we truly are best friends. I look at this photo every day when I wake up. I always thought it was a beautiful picture, but when my dad got diagnosed with cancer and passed away last May, it took on a whole new meaning for me. 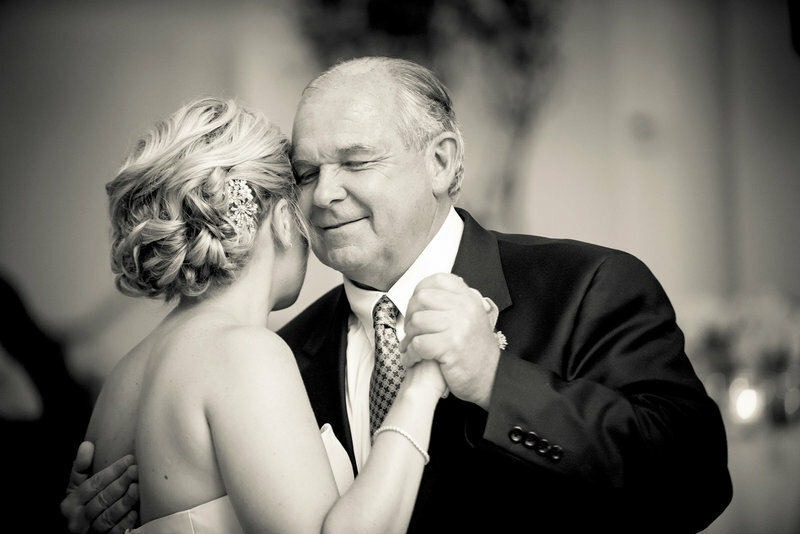 When I look at this picture, I see pure joy in my dad's face and can tell how content he was in that moment, dancing with his only daughter on her wedding day. On days when I still can't believe he is gone and when it feels too difficult to put one foot in front of the other, I look at this picture and can hear him whispering in my ear "Everything will be ok. I love you my baby". This picture gives me a sense of peace that is truly priceless. 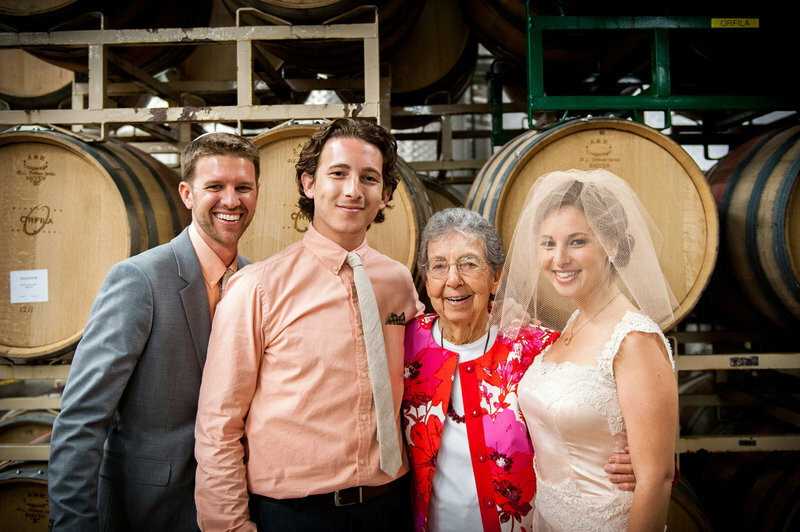 My grandmother was the only living grandparent at our wedding. She notoriously hated being in photos but somehow we took this one without a fight. Our entire extended family considers this shot in particular priceless because she looks thrilled to be there to celebrate - and even to be in the photo. She passed away unexpectedly 6 months later and this is the photo we used in her obituary because the joy she exuded every day really came through in it. 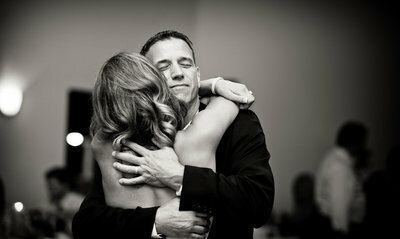 The following photo is my favorite from our wedding. It is framed in our home as well as in the homes of our family members. 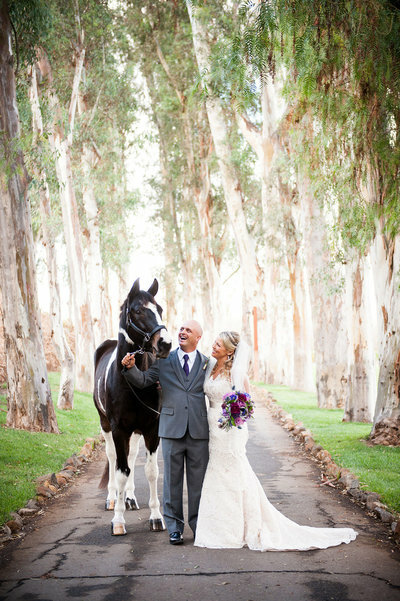 When I first looked at the venue, The Ranch at Bandy Canyon, I knew I wanted a photo exactly as the one captured below. Our horse Dakota has a lot of personality and I think this photos sums up the way we feel about him and each other. 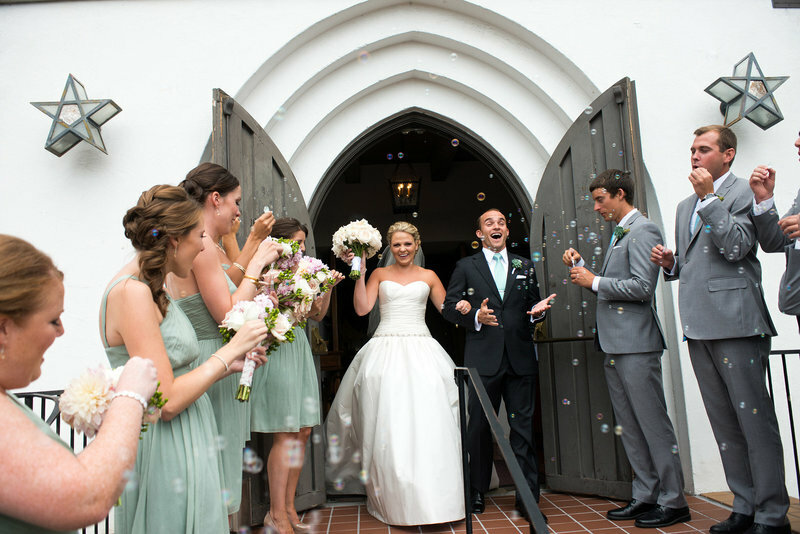 It was a magical day and your photos captured the entire story. Based in Beautiful San Diego CA... Shooting everywhere near and far. San Diego County, Del Mar, La Jolla, Downtown, Temecula. 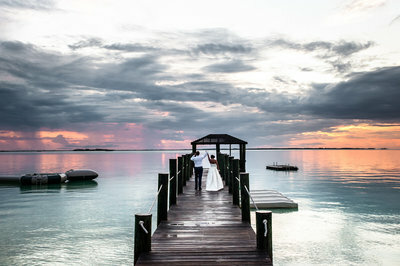 We also love to travel for destination weddings. 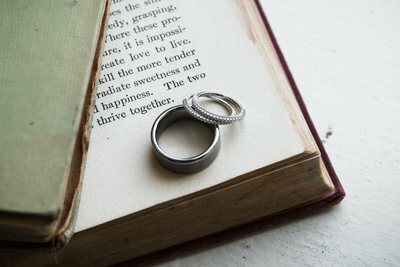 We would love to meet up for coffee or a drink sometime and learn some more about your wedding!